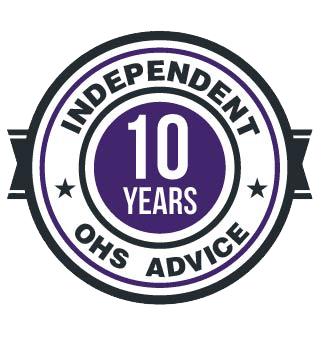 For over twenty years I have been active in occupational health and safety (OHS), culminating in running my own OHS consultancy for almost twenty years. 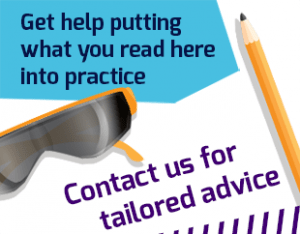 It is important to be active in OHS advice when one is writing about safety to keep the information relevant to the intention of OHS – reducing death, injury and illness. I have written well over a thousand articles for the SafetyAtWorkBlog, a blog that has achieved several international and local awards as an important source of OHS information. Some of those have been refashioned for other websites but most have been commissioned articles. I have also written articles for others often without my by-line. These clients include EY Australia and AlertForce. Crikey.com has reused one of my blog articles on the Beaconsfield Mine rockfall of 2006. In 2005 I wrote the Editorial for The Journal of Occupational Health and Safety Australia and New Zealand – “A culture of terror: the risks of occupational violence” in December 2005. An article on the moral business case was written for the Resilium website. I contributed substantially to the 1st edition of the WorkSafe Victoria publication – Manual Handling in the Food Industry (now into its 3rd edition), and provided literary support to Ballarat’s Farm Safety Training Centre in writing the WorkSafe guidance “Dairy Safety – A Practical Guide”. I contributed a chapter to CCH’s Hands On Guide to OHS Training and to Portner Press’ OH&S Handbook. An article about the potential infectious hazards from security card lanyards appeared in the April 2008 edition of Management Today, a magazine published for the Australian Institute of Managers. For a while I was an OHS contributor to RTW Matters, an online site for workers’ compensation professionals. For many years, I published the SafetyAtWork magazine, a regular online publication for safety professionals, through subscription, that was distributed globally. From this developed a weekly OHS bulletin for Australian safety professionals. The bulletin has led to a similar product being produced for members of the Safety Institute of Australia. I have established a reputation as a critical thinker on workplace safety issues over 20 years. I am an internationally recognised blogger and freelance writer on OHS issues, increasingly called upon to ghostwrite or develop safety-related communications, policies and procedures. The uniqueness of my skills comes from basing my work on real world experience. My recent 8 years of full-time employment in the rail infrastructure sector has provided a very useful understanding of the impact of policies and procedures in the workplace, the client role in contractor management and insight into how safety documentation is received, understood and applied by the workforce and other stakeholders.